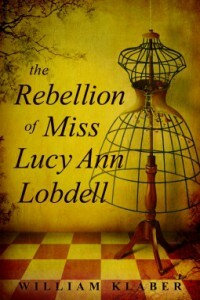 “The Rebellion of Miss Lucy Ann Lobdell” (St. Martin’s Press 2015) by William Klaber is based on the true story of Lucy Lobdell who became Mrs. George Slater and bore Helen Slater before becoming Joseph Lobdell in 1853. The author began his project as non-fiction about this historic figure before changing to the fictionalized “memoir” it has become. Although written for an adult readership, it’s a good match for young adults who are perhaps the first generation to consider transgender people as quite normal. It wasn’t as easy for Joseph 150 years ago. Bear in mind that transgender does not refer to sexual orientation, but rather to one’s gender identity not matching one’s birth gender. Lucy grew up in the relative wilderness of New York State, wearing britches, chopping wood, and hunting game for her family. Once grown, she wanted the freedom that men enjoyed, but instead, as many young girls will, married an abusive man, who deserted her. 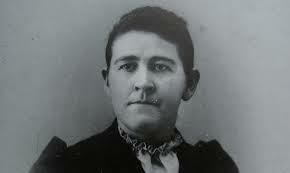 After a stint back home with her disdainful mother, Lucy binds her breasts, dresses as a man and moves away. Living upstairs in a small-town saloon, Joseph teaches young ladies music and dancing. Lydia, his sole violin student, grows ever more attached to him, until the two are in love. Joseph is discovered and betrayed before he can reveal his secret to Lydia. Making a narrow escape he sets out alone for Minnesota where Lydia dreamed of raising horses with him. Fleeing with his violin across the American wilderness, up the Mississippi on a barge, we find him playing his fiddle to entertain the rough-hewn homesteaders. He survives a harrowing Minnesota winter in a backwoods cabin, all the while the reader is learning about adventures and attitudes of 19th century America. Likeable mild Joseph befriends many men, but again is betrayed when the poor guy bathes in a pond. And is raped. This time he is arrested and tried for wearing men’s clothes. When he is acquitted, it looks like the townspeople will accept him, but another tragedy awaits him from his humiliated attacker. Little is known about the next seven years of Joseph’s life except he lived in hovels, a broken person, while making his way back toward daughter Helen who was left at his parents’ house. Living in an almshouse no longer in disguise, but still wearing his comfortable britches, Joseph befriends another road-weary young woman. They become lovers and marry—he in disguise, of course. You might consider this outline a spoiler, but you could read a version of Lucy/Joseph’s story on the book flap. The discovery is in the invention, honesty and compassion of the writing. The endnotes, concerning the research is as intriguing as the story itself. My one objection is the author said nearly nothing about the problems of toiletries while Joseph lived in disguise. Even if he performed his bathing and eliminating in his room with a bedpan, at least, I’d like to have observed this scene. Maybe I’m too practical.